After seeing the documentary regarding the Hollow Earth Theory, and having many of the same questions I think others do regarding the subject, I decided to delve deeper. Not surprisingly, my local library had books on neither subject, but they are part of the interlibrary book-lending program, so I was able to find a handful of books on Byrd. I requested two of them. I picked one of them up the other day. Admiral Byrd: The Last Explorer by Edwin P. Hoyt is a dauntingly large biography based only on the public records regarding Admiral Byrd. At the time of its writing, the family refused to release his private information, much of his Naval record remained classified, and he was too well-regarded to find former associates who would say anything bad about him. Although this is only from the Preface and sound like possible excuses for a poorly-researched biography, it was written less than 20 years after Byrd's mysterious disappearance. 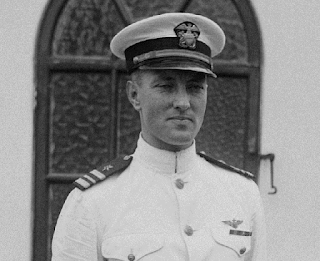 I'll be discussing more about both Admiral Byrd and the Hollow Earth Theory in coming posts. Can't wait to read more. This one sounds very interesting. Guess I need to do a little more research on the Admiral.